Even though the NEO was travelling quite fast after discovery it was also relatively bright around mag +16 to +17, important for accurate astrometric reduction. The astrometry reported from all observatories was of very high quality, the final MPC orbit using 132 positions has a mean residual of just 0".39. 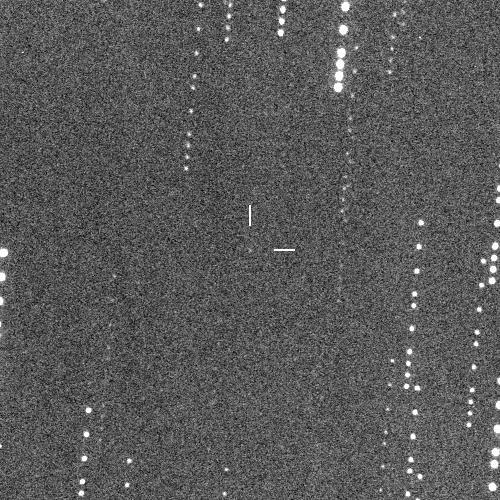 Because of problems with the CCD camera fouling the fork mount of the telescope at high declinations, 2003 NZ6 could not be followed at Great Shefford higher than +68° dec. 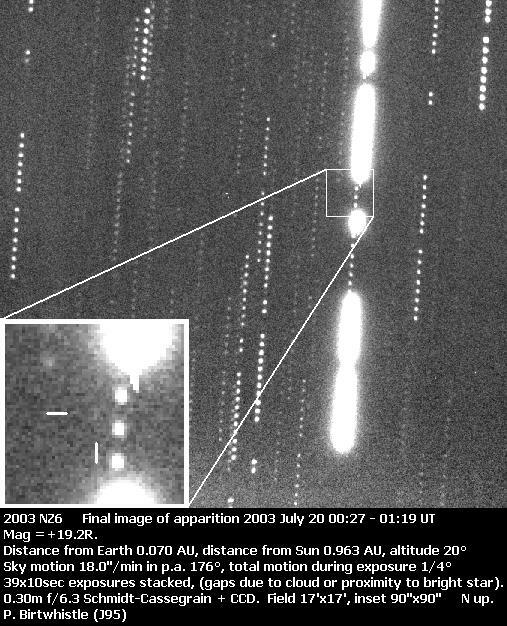 This meant that the last possible night of observation before its close approach was July 11/12th, but there was also the possibility of catching it after close approach as it sank down to the northern horizon. The night of July 18/19th would be the first chance, with the object at mag +18.8V and the next night would probably be the last, with the object only about 20° above the horizon, at an elongation from the Sun of just 39° and at a predicted mag of +19.7V and moving at 18"/minute it would be a difficult target.